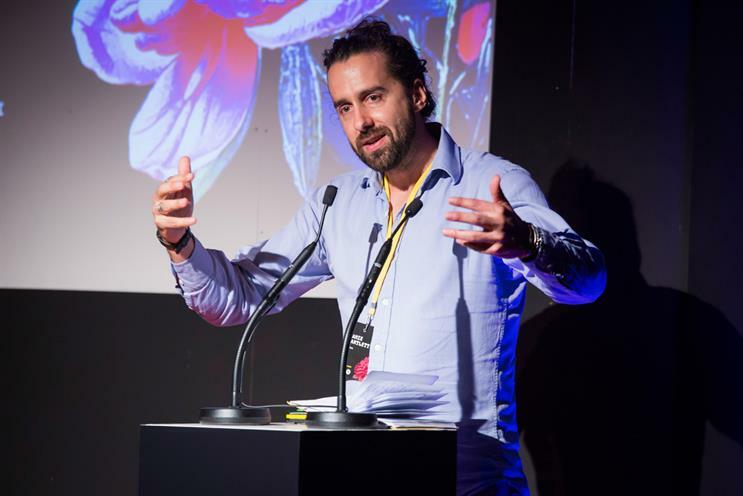 DigitasLBi brought together an eclectic array of speakers to share their ideas on how the internet can be saved from itself in the agency's event as part of IAB Digital Upfronts. Jamie Bartlett, author of The Dark Net and director of the Centre for the Analysis of Social Media at Demos, argued that the problems the internet presented today stemmed from two paradoxical characteristics: that it has become both too centralised and decentralised. "We thought the internet would mean the end of nationalism," he said, "that we were going to become nicer and kinder and smarter and wiser." But bringing so many widely dispersed people together, he added, "has meant we’ve made these incredibly powerful new subcultures emerge" – including right wing radicals. The volume of news and information available has had a big impact for groups inclined to a certain worldview, he said: "We imagine they’re all trying to find conspiracy crap to support made-up theories. "But what they do is find real stories from across the world that have actually happened, and they share nothing but these examples among themselves. And by so doing they crate a very skewed version of the world which they then believe is true." This didn’t just relate to the most obvious examples, such as anti-Islam groups, he added. "I’ve seen the same stuff in perfectly well-meaning communities, such as pro-anorexia groups. They get trapped in this world they can't really escape from, and it’s going to get worse I’m afraid." The overload of available information was making almost everyone less rational, Bartlett added: "The more we’re overwhelmed by information, the more we rely on emotional heuristics to make sense of it. The more we become emotional, the more we become angry and frustrated with each other." The other side of the coin, he said, was the concentration of power in a handful of big tech companies – an outcome he said was inevitable: "When you have infinite choice you are always going to go for the one that’s biggest and best – so it tends towards monopoly." The phenomenon would only become more pronounced as the economy becomes more reliant on data, he added, because Google’s advantages in search and advertising would also give it advantages in areas like health research and autonomous vehicles: "If you’re very good at doing it, you can be brilliant in almost any industry." Tackling the imbalance in centralisation required a collective effort, Bartlett said: "There’s a huge amount of opportunity for business, civic society and government to work together" – both on finding better ownership models, and finding ways to control damaging content. 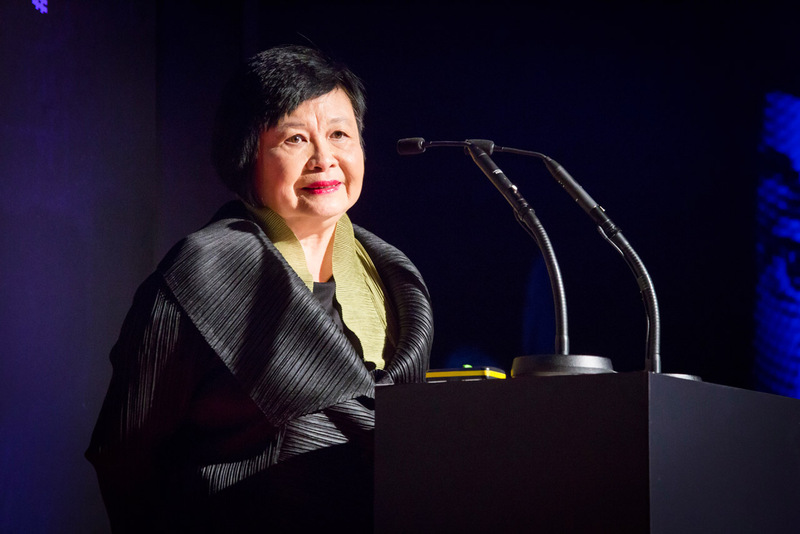 Mei Lin Fung, co-founder of People-Centered Internet, spoke about how the rapid expansion of internet access to almost all of the world’s population was creating need for brands to rethink their approach to marketing. The number of people with internet access would increase from around four billion today to seven billion by 2022, she said – with almost all of the new joiners being in emerging economies. Brands that wanted to appeal to these newly connected consumers would need to demonstrate that they were achieving a social impact, she added. "Who will they trust? If you take 60% of the world who are not connected and create trading posts where they can create hopes and dreams, you can be part of one of the trusted brands. We’re going to see a shift from the shareholder-driven world to a social impact world." Fung was asked a question from a Unilever marketer in the audience who referred to the attempt earlier this year by Kraft Heinz to acquire the Dove owner – a situation seen by commentators as representing a clash between short term gains and the strategy of sustainable growth pursued by Unilever. Asked how she would encourage more companies to change their mindset and prioritise social impact, Fung said: "I think data is going to be a key part of this transition – brands need to realise they can be much smarter about how they launch products and geographies. I believe that releasing the power of community can create tremendous loyalty." 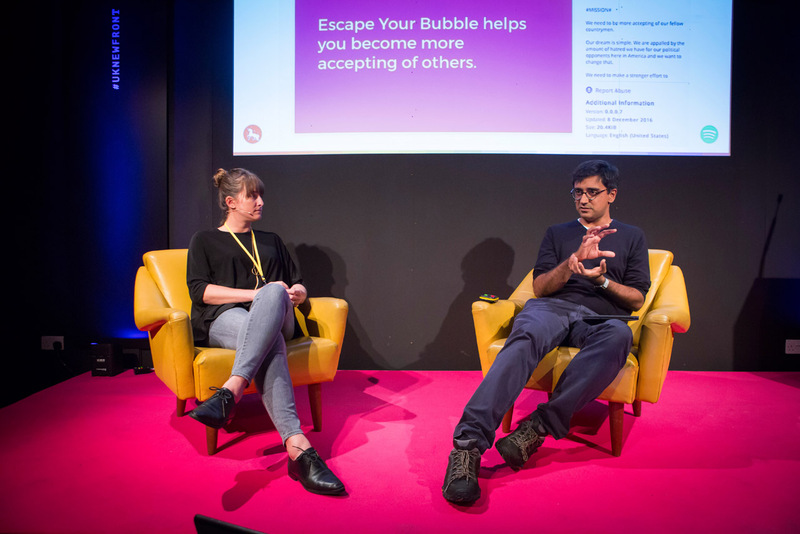 DigitasLBi UK’s head of data proposition Sameer Modha was joined on stage by Maureen Traynor, global director of creative solutions at Spotify, to discuss – and defend – the much maligned "filter bubble". Modha outlined three concerns people have about the filter bubble – by which recommendation algorithms result in consumers being surrounded by limited types of content. The first, he said was about people coming under undue influence and being manipulated. This was fair to some extent, he said: "Human cognition is quite easily subverted, as seen from the perspectives of our best selves. "But that’s a point about people, not about technology. The most powerful filter bubble of all is the one that’s up here [in the brain]." The second, he said, compared content to food: it was the belief that our digital diets should include "psychic fibre" which did us good, but we didn’t enjoy consuming. The third was an objection about "plurality, the commons, civic society", which he characterised as the idea that our digital advances have only led to us endlessly playing Candy Crush Saga, rather than advancing society. But saying that personalised content was bad on this basis was like saying "I want a bad product, because democracy", Modha argued. We all spend our lives "avoiding Harry Styles", or whatever it is we dislike, Modha said, "and trying to fill our lives with things that we like. At yet somehow we’ve got to a place where we hold platforms to a different standard." Discussing the ways that Spotify uses personalised recommendations, Traynor said that the technology had been vital to the platform flourishing. "There was a time when the product was a blank search box," she said. "It was all on you to decide what you wanted to listen to. And we found that that was not only not enough, but also a turn off and led to some product attrition." She outlined three metrics Spotify uses to cater to users, which help ensure individuals can be as immersed in their own filter bubble as they want: diversity (how broad their taste in music is), discovery (their tendency to listen to music they haven’t tried before), and tilt (the extent to which they like to curate their own listening).